The Case of WMDs: Who Used Chemical Weapons in Syria? Sec. 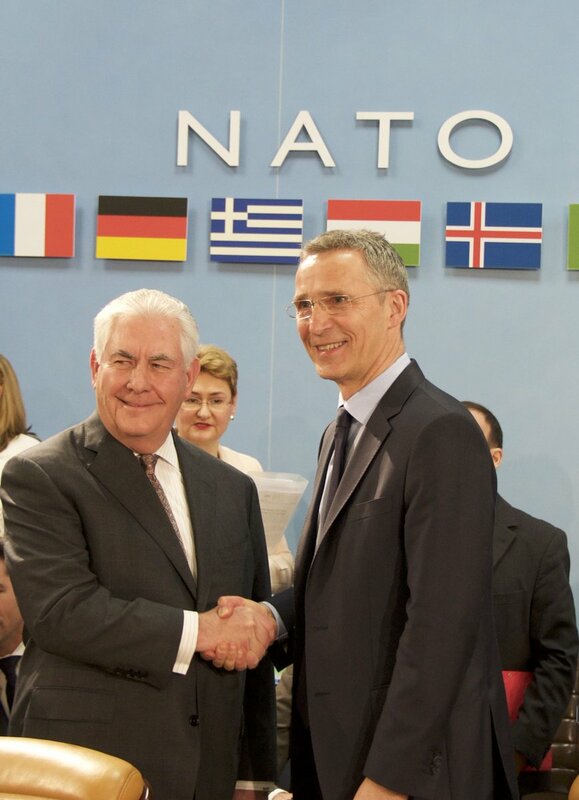 Tillerson: US commitment to #NATO is strong & this Alliance remains the bedrock for transatlantic security. Hvis dere kan ta dere tid til å lese om Tillersons bedrifter nedenfor, så vil det få dere til å forstå hvem “vi” egentlig er, her i Norge. Etter å ha lest disse artiklene sank nesten hjertet helt i meg, i skuffelse over landene som har gjort dette. Det er mafia i ordets rette forstand. Ikke “min kjære”, men “min skatt” (arabisk for “ma-fia”; hva vi betaler for å ha slike folk til å ødelegge hele jordkloden). De er åtseletere, gribber og det som verre er, og det er “oss”, Vesten. Kråkene er engler i sammenlikning med disse. Det eneste jeg lurte på etter dette, var å finne ut mer om det stakkars landet Iran. Egentlig er det synd i alle disse landene som har blitt utsatt for en så råtten agenda som har blitt planlagt helt siden 1930-tallet, og som har blitt satt til verks i våre oldeforeldres, besteforeldres, foreldres og vår egen tid. Og alt vi fikk høre i nyhetene var løgn, løgn og atter løgn, bare for å havne i historiebøkene som vi dytter ned i halsen på våre barn. (1) The Bernard Lewis Project. Professor Bernard Lewis (photo below) is an octogenarian expert of the “Middle East” (itself an invented geopolitical term). Lewis is indeed a “master” scholar and expert on the Turks, Iranian and Arabs (see sample of his books in references). And herein lays the tragedy: Lewis wields his treasure trove of knowledge as an engine of destruction. Few have ever heard of “The Bernard Lewis Project”. Professor Lewis first unveiled his project in the Bilderberg Meeting in Baden, Austria, on April 27-29, 1979[i] [ii] (see the only photo available of a Bilderberg Conference – 1954 photo). He formally proposed the fragmentation and balkanization of Iran along regional, ethnic and linguistic lines especially among the Arabs of Khuzestan (the Al-Ahwaz project), the Baluchis (the Pakhtunistan project), the Kurds (the Greater Kurdistan project) and the Azarbaijanis (the Greater Azarbaijan Project)[iii]. The report is almost too incredible to believe: this is indeed the dark side of Professor Lewis’ distinguished academic career. For the students of geopolitical and Petroleum Diplomacy however, there is nothing new regarding the “chop-up Iran” agenda (item 10). Trump on Whose Extremist Agenda? 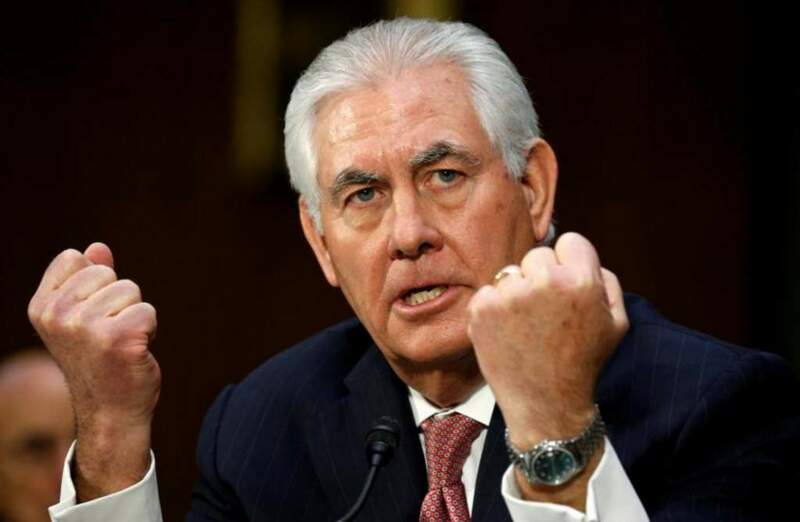 In fact, American President Donald Trump is neither a “crazy person” nor a “mad man”, as he is acting upon the extremist agenda of Israel and India (Under Prime Minister Modi) without bothering for its dangerous consequences which could envelop the entire world, including the US herself. When he took oath as the American president, it was expected that being the president of the superpower, Trump would soften his attitude and would behave with responsibility. But, no such a change has emerged in his political character, as he seems determined to follow the Indo-Israeli extremist agenda against the Muslims and the Islamic World. Trump bombs Syria for ISIS – HUGE new false flag on the way? You can´t make this stuff up: Putin is behind the terrorist attack in Russia! 2016: BOMBSHELL Revelation on the ACTUAL agents used to release the gas on Syrians! Psychopath Benjamin Netanyahu: Assad used chemical weapons on Syrian children?…again! Murderous Egyptian dictator al-Sisi: Trump´s role model? Takk for nå. Vil de ikke høre, så vil de ikke. Vil de ikke vite, så vil de ikke. “Vil de ikkje, så ska´ de…” – som en sterk kvinnelig sykepleier sa til min morfar som hadde lungebetennelse og lå for døden, da hun tok fram skjeen og tvangsmatet ham med suppe, og morfar så skjelven ut og ynket seg, men han åpnet munnen og svelgte unna. Må man, så må man. NATO holder på med så mye at synske ville ha slitt seg ut for å finne ut om all djevelskapen, hadde de prøvd. De fleste vil bare se det de vil se. 14. jul. 2016 – Most have no more actual terrorism expertise than “famous Fox terror … Was Fukushima the result of an undersea Israeli nuke plus stuxnet-style sabotage? 7. … the day that France’s state of emergency from the last attack was to have ended. … The Nice Attack: French Intelligence Failure or Zionist Agenda? Next Ser Nettavisen og Co hva deres helter “The White Helmets har gjort?